​We cannot thank you enough for all your hard work and dedication! Your resort recommendation was absolutely beyong our expectations! You've made this wedding planning experience easier than I could have ever asked for. Meagan and I would like to thank you for all your work. It was very much appreciated to ensure our week went perfect. The ceremony and the reception went great without any issues. I will be sure to recommend anyone who is planning a destination wedding to contact yourself as it was a breeze for us without any stress. Everything went great! We had a blast! Our room was perfect, and as close to the ocean as possible - and everyone else was thrilled with their rooms as well. We appreciated the gifts that you had sent to us, and can't wait to put a wedding picture in the frame. The week was perfect, the weather was great, food was great - no complaints. We managed to squeeze in our own jeep tour of the island, snorkelling, and the butterfly farm on top of the wedding. We are already dreaming of our next vacation, maybe a mini-honeymoon one day soon! Thank you again for everything - you did a fantastic job and our whole group had a great time. Wish we could head back to 'One Happy Island'. ​Thank you so much for everything! I had done so much researching looking for our perfect destination wedding location before coming to see you but could not find anything in our price range. Within minutes you had a place that was not only in our price range but had everything that we wanted yet. I was so happy. I was so impressed with your attention to detail and quick responses to my many messages. We are forever grateful that your name was given to us. We are now your forever client! Advice for people considering doing a destination wedding on your own- don't! Our experience was phenomenal and would have been so much more stressful if we didn't have Ranka - her help was immeasurable. Lorie, I just wanted to send you a quick thank you. You have now been involved in my own wedding, my brother’s wedding, and a coworkers’ wedding. You have been an absolute pleasure, from the beginning, right up to the very last minute. You are always approachable, and find a way to manage dealing with large groups of people with a smile and calmness about you. This last wedding was a fantastic trip and destination. I hope that our group continues to use you for upcoming vacations. Best wishes and I will be in touch again in the future! The wedding was absolutely perfect! We truly appreciate all that you did to help us make everything come together. We can't say enough great things about you! We look forward to booking with you again. We can't thank you enough for everything you did to help plan our trip and wedding in Mexico! Your expertise and willingness to help with every possible detail was above and beyond what we expected! It would not have been possible without you. Travelling with 50+ people isn't the typical vacation, but you made the process stress free and easy! Thanks again for helping to make our wedding and honeymoon everything we could have wanted! Thank you for all your hard work, you're awesome! 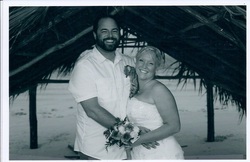 Thank you for all your hard work to make our wedding in Cuba possible. Everything turned out beautifully. Thank you so much for helping our dream wedding come true. The resort was perfect and our room was amazing. We cannot thank you enough! Thank you so much for all your help. I could not have done it without you! You are great at what you do, more importantly you are an amazing woman and you made this such a great experience for me! If not for you we wouldn't have gotten married. This trip brought a lot of happiness to a lot of people in a lot of ways. THANK YOU! We're so happy you could attend our reception. Thank you again for helping us have our dream wedding. It was truly perfect, we wish you could have been there! Anthony and I would like to sincerely thank you for all your help in planning out honeymoon. We had the time of our lives, your kindness is truly appreciated. Thank you so much for everything. Thank you for booking our wedding for us. It was so beautiful. Exactly what we hoped for. I wouldn't have changed a thing! Again thank you so much. 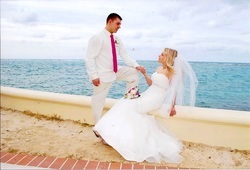 Thank you so much for planning our weddingmoon in Curacao! The best way to describe it is pure perfection, we had a blast. Thanks for doing everything you could to take the stress off before we left, we’ll be in touch. Thank you so much for helping us plan our beautiful wedding away! 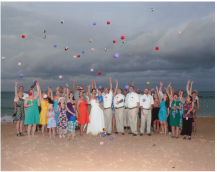 Your confident, caring nature helped us feel as ease throughout the entire planning process! AS promised by you, our wedding was everything we could have wished for and more! 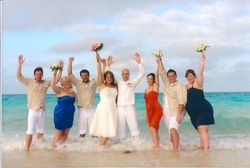 We can’t thank you enough for all your help in organizing our Caribbean cruise wedding. Thank you for all your travel & cruising tips – somehow the weather always prevails no matter what eh?! We survived! Also thank you for the cocktail party as it served as a perfect, private get together for all our guests to meet. Should we plan another vacation soon, we’ll be sure to keep in touch. We want to thank you for all the work you did to make our wedding day a perfect one. It truly was the happiest day of our lives. 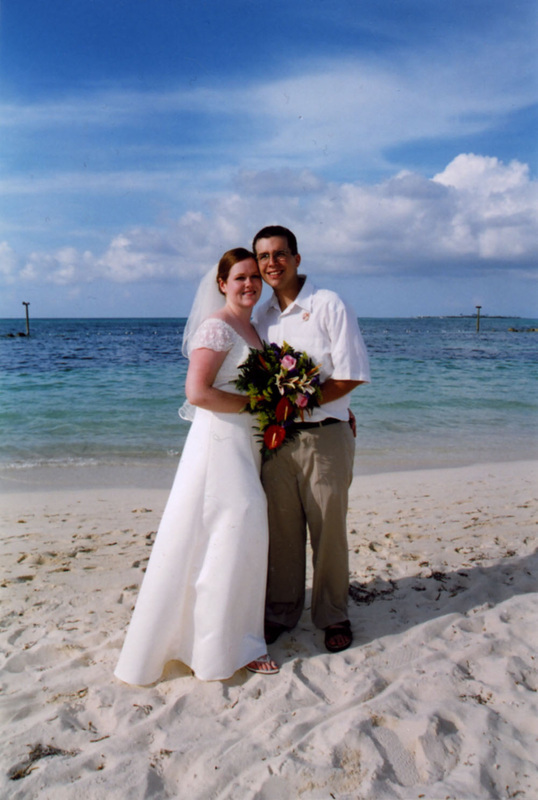 Dave and I want to thank you for helping us plan our wedding at the Riu Palace Aruba. 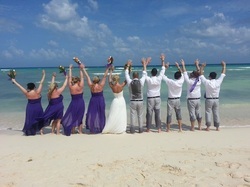 Our friends and family had the trip of a lifetime and we had a beautiful and unforgettable wedding! You were a great help and we wish you all the best in the future! We want to thank you for all of your help in planning our incredible honeymoon in Hawaii. We had a fabulous time and we really enjoyed the bottle of champagne you sent. You went above and beyond the call of duty for us and made the planning so much easier for us. Thanks again for everything. Mike and I would like to thank you for the best time of our lives we had in Mexico. It was sooo nice to relax and do nothing after our wedding day. Thank You!! Thank you for all your help in planning our Wedding trip. The Sun Village Resort & Spa in the Dominican was amazing. Beautiful resort, wonderful food, great service! 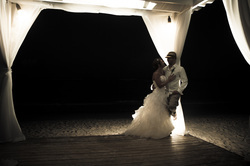 UOr wedding day was perfect in every way and we would recommend this resort highly! Thank you so much for helping us with our wedding arrangements in the Bahamas, and for all your extra time and effort when we needed you. We really appreciate it! The wedding was awesome! Thanks for all of your help with planning the group trip to Mexico for the wedding and our trip to Australia and Japan!! Everyone had a great time. We really appreciate the picture frame and bottle of wine.